I highly recommend this place to deal with, everyone there is very helpful and treat customers as family. If you didn't find the car you looking for they will try to get it for you as what happened with me. Thanks Avenger! Awesome inventory, and the agents/owners are really easy to work with. No pressure at all, and they are willing to find you the perfect car. Great experience at the lot and in a very convenient location as well. 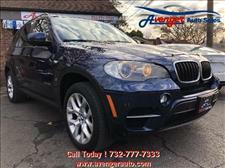 I would refer anyone to Avenger Auto Sales! 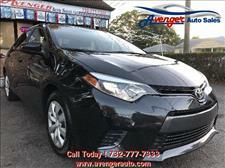 I have purchased cars from Ray Catena and other big name dealerships. 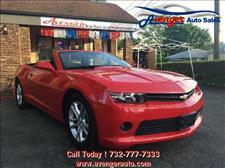 I can honestly say that I was treated better and more professionally at Avenger Auto than the big name dealerships. 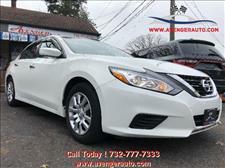 My salesman Max was very knowledgeable and made a normally hectic and stressful process feel like a breeze. I also had the privilege of meeting the owner Sammy. He treated me like a gentleman and did not try to rip me off. 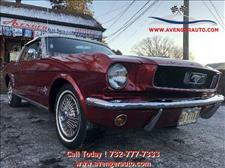 They have a great selection of cars at the best prices around. They really went out of their way to satisfy me as a customer and I would definitely recommend them to anyone looking for a great car at a great price! Thanks guys!! I wish I could give everyone at Avenger a 10 star rating!! My well loved truck was deemed terminal on a Friday afternoon, and I was sad, frantic and not sure what would be the outcome. The next morning after seeing Avenger online, my day turned into an incredible one when I stepped onto their lot. Everyone is incredibly helpful, kind, and genuine: they had me driving out of there in the afternoon with the car of my dreams!! They even helped me return my rental car!!! 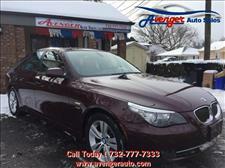 This is my first car buying experience and I am telling everyone Avenger is where you need to go for your next car!! Truly grateful to these guys! I can not speak any more highly of a Car dealer. 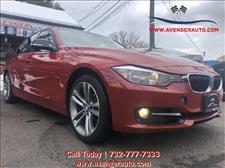 I took my 18 year old son in to help him find a car, with no credit as a kid , and mine not being so terrific because I already have 2 other new cars in my name, Max and his crew went above and beyond to get us the best deal, lowest interest rate , and we drove away with a 2014 BMW 328i . It was one easy, stress less, awesome experience. I will be back in August for my daughters 17th birthday gift!!!! 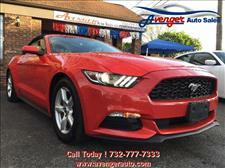 Thanks Avenger Auto Sales!!!! My daughter purchased a vehicle from Avenger. She had a wonderful experience with the staff and left the same day with a vehicle. A week later my husband and I returned and we also left the same day with a vehicle. The staff were very kind to my family. They were not pushy. They were helpful and took their time explaining things which made us feel very comfortable. Sammy was wonderful. Mark was the first person we met at the dealership and he was absolutely awesome! I hope that they continue striving for excellence. Thank you and God bless. 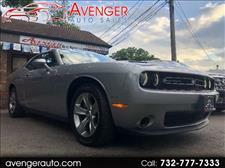 I've bought 4 cars in my past, and by far the best experience I've ever had at a dealership is with Avenger Auto Sales. They're honest, straight-forward, extremely knowledgeable and very friendly, exactly what you'd expect from a family-owned business. I was able to get an extremely competitive interest rate on my auto loan, plus they had a great selection of well-maintained vehicles. I highly recommend them to anyone that's interested in purchasing a vehicle. My guy is Max, incredible person and real down to earth too. So is everyone else at the dealer, but Max is definitely the one you need to speak to. I'll be back for my next car! Bought a 2015 Ford Fusion SE Ecoboost from here about a month ago and I am so happy with it! The service from here is incredible. Mark and Max were both super helpful and informative (as this was my 1st time buying a car from a dealership). They broke down everything and answered any question I could have had! I would recommend new and old car buyers to come here because the people were amazing as is my new car!! They are a GREAT dealership, great cars, wonderful prices and very friendly salesmen. I was at quick check with a purchase from a scammer and my truck would not start, it just so happened Max walked by (in the summer he also told me this but I brushed it off) and said come to my place and we'll get you into a GOOD car. So I did just that and I am now in a New car for the same price I was paying for a 2007 piece of junk! Max and Sammi are the Best!! They really care about us being as satisfied as possible! 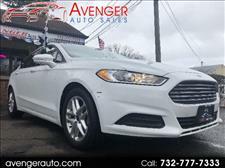 Everyone at this dealership is very nice, make you feel very comfortable, and will work with you to get you a very good car and make sure WE are happy and satisfied with our purchase!! They will not just throw you into a car that has problems or what have you, just to make money. Their main goal is to make US, the purchaser, happy and satisfied! 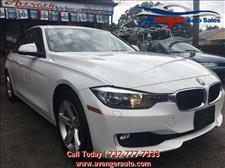 I recommend this dealership to anyone looking for a GREAT car! I am extremely overjoyed with my purchase!! 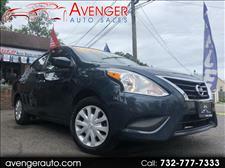 PLEASE PLEASE PLEASE visit Avenger auto before your next purchase! Hi, I'm just your average guy who works hard for his money...So when a large dealership tried to take advantage of me not honoring posted prices and adding hidden fees, I decided to see the guys at Avenger Auto Sales, And I couldn't be happier I did. Absolutely the best car buying experience I ever had (5th time buying from a dealership). 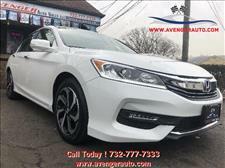 If you're looking for a car and a sales team you can trust look no further visit their lot in Highland Park NJ, You will not be disappointed!!! bought my 2010 BMW 5 series from the dealer couple weeks ago, the process went so easy and the guys were so nice and friendly starting from the salesperson to the manager. This place was amazing! I’m a local in town have watched this dealership since they opened! Great guys there! I worked with Max who was very knowledgeable and fast! Found a great interst rate for me! Walked out that afternoon with my new car! Would recommend this place to anyone!!!!! !